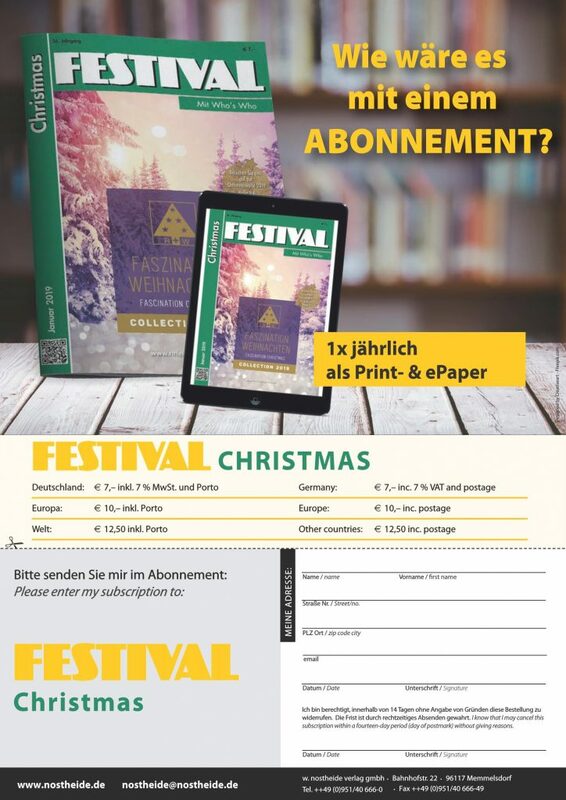 FESTIVAL Christmas ist die erste und einzige internationale Weihnachts-Fachzeitschrift seit 1994 auf dem europäischen Kontinent. Zielgruppengerecht, produktorientiert, saisongerecht. FESTIVAL Christmas erscheint im Januar und beschäftigt sich unter anderem mit den Design-, Material- und Farbtrends der kommenden Saison. Zusätzlich zur Printausgabe ist diese auch als kostenloses ePaper erhältlich. 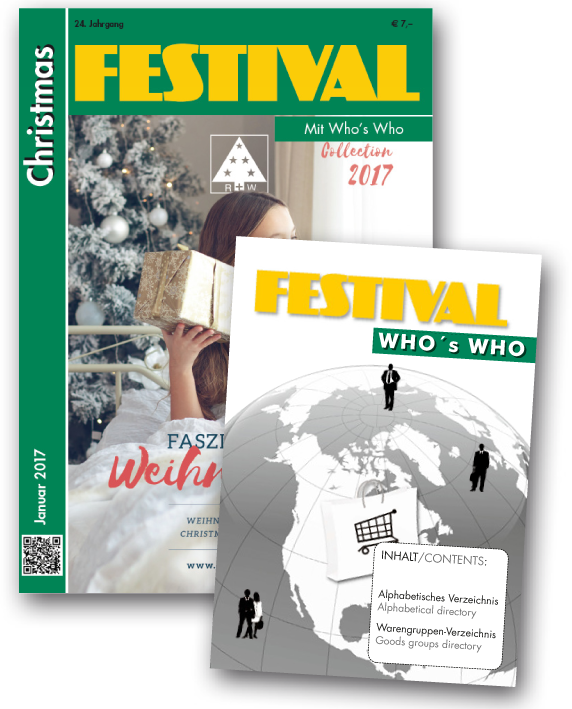 FESTIVAL Christmas beinhaltet ein sogenanntes WHO`S WHO, ein alphabetisches Hersteller- sowie systematisches Warengruppenverzeichnis. FESTIVAL Christmas, the first and only international Christmas trade journal since 1994 on the European continent, tailored to its target groups, products and seasons. FESTIVAL Christmas is published each January and deals among other topics with the design, material und colour trends of the upcoming season. It is also available as a free ePaper. FESTIVAL Christmas includes a so-called WHO`S WHO, an alphabetic producer index as well as a systematic index of goods groups.